In honor of the month of Nissan and the upcoming Passover holiday, our wonderful music service will feature music and readings on the theme of freedom. Bring a potluck dish to share. Location: 2400 E Stratford Ct.
Join co-hosts Nita Salzman and the Sweeney/Woll family for a warm, thought-provoking, delicious seder and meal, complete with some extra musical fun. The meal will be collaboratively created as usual for our Community Table meals. Join us for a musical morning Shabbat and festival service, Torah reading including the Song of the Sea, and Yiskor service, on this unique day which is the 8th day of Pesach in traditional communities and a (possibly chametz-free) Shabbat for others. Confused by this? Ask the rabbi!! Building on 25 years of work in aging and the arts, Anne will share three simple techniques to infuse imagination into care, as well as stories of her experiences transforming care settings into cultural centers. We are excited to offer SO many opportunities to be together during Passover this year. 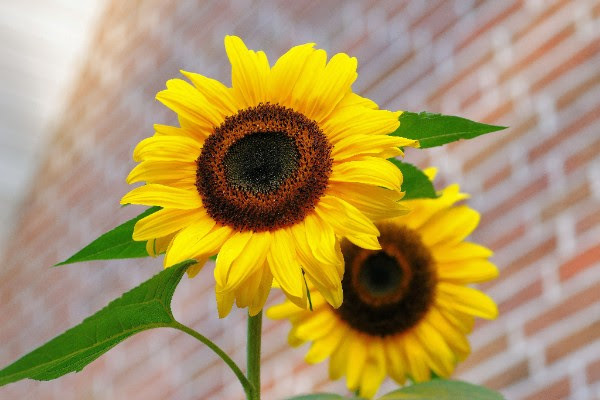 See above for Shabbat programs which include the first and last day of the holiday – first night Community Table and morning service with Yizkor. We will gather with our brothers and sisters from St. Mark AME to explore questions of freedom in our respective histories, communities, and in the world. This will be an organized potluck. This North African Tradition celebrates our freedom and the joys of bringing chametz back into our lives. Mark your calendars – more details on what to bring, etc. to come! Professor Rachel Buff of UWM’s Cultures and Communities Program and History Department will join us to discuss her recent trip to the southern US border and the political and environmental forces impacting the desire for immigration and asylum from Central America. She will answer our questions about the current situation in the state and at the border and how we can support immigrants locally and nationally. It is Shabbat Shekalim! The regular parashah, which addresses building the mishkan, is enhanced with extra Torah about the process of taking a census through the half shekel contribution (sound familiar?). Bring a Torah translation and nosh to share. Come at 9:45 for that first cuppa’ something. While we enjoy our always wonderful music and delicious potluck meal, we will also immerse in the theme of chesed through Torah text, liturgy, contemporary writings, and exploration of how we can each bring more chesed into our world and community. This follow up to our February session will focus on the history, form, and themes of Jewish prayer. Bring a little nosh to share if you wish. THE MKE JEWISH COMMUNITY READ! 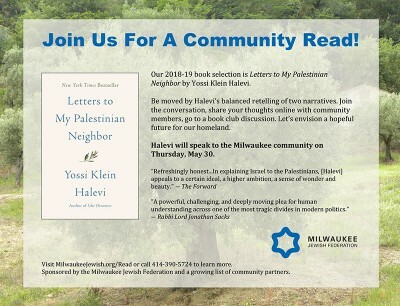 Noted Israeli Author Yossi Klein Halevi will be in MKE in late May to discuss his book Letters to My Palestinian Neighbor, in which he describes his growing awareness of the dual narratives in the Israeli-Palestinian conflict and his desire to be understood by his hypothetical Palestinian neighbor. And don’t forget to put Thursday May 30th on your calendar! A new secular year brings new Jewish music! Expect more pieces by Nava Tehila as well as old favorites. Location: TBA – maybe by you this month?? This evening service will feature learning and discussion about Reconstructionist thought, including VBDM – Values Based Decision Making. Find out why a single movement has such a diversity of communities and practices and how we are more the same than different. Bring a Torah translation and nosh to share. Come at 9:45 for that first cuppa’ something. Mark your calendar for our 2nd annual Souper Bowl Fundraiser (and FUN-raiser!) We will build onto last year’s success with more space, more soup, and more fun! If you would like to pitch in by making soup, or contributing in some other way, please contact Diane Wagan at dianewagan@gmail.com or 414 861 5640. 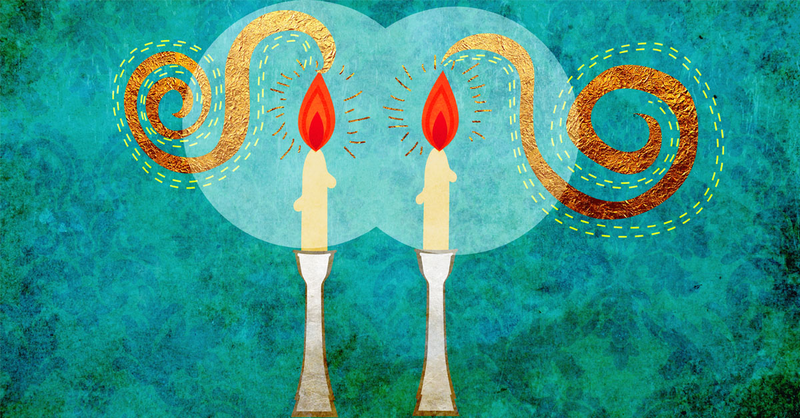 Chants, rounds, and niggunim will help us go deep into the dark and then bring in the light! Bring your deep breath, open heart, and a small nosh for the oneg. 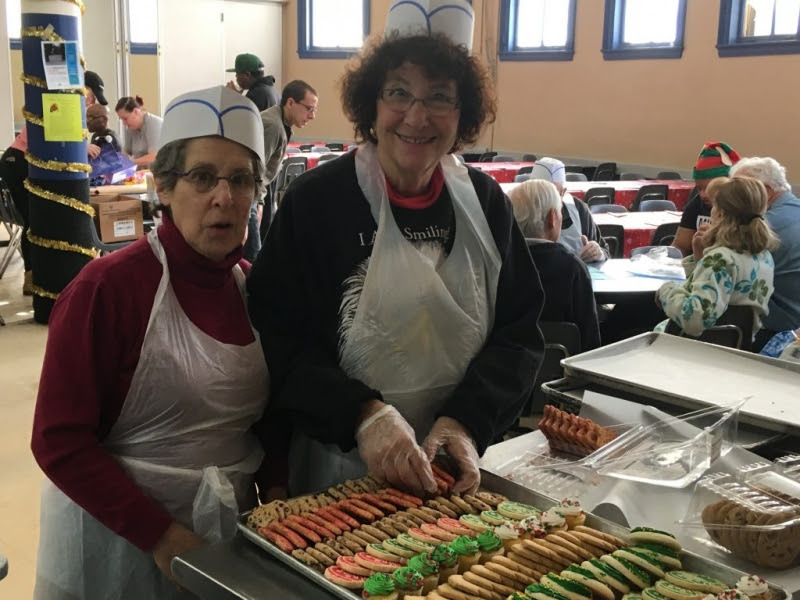 Congregation Shir Hadash is once again providing and serving Christmas dinner at the St Vincent DePaul food pantry and meal site. There are opportunities to purchase, cook, and/or serve the noontime meal. It is great fun and good work. Some tweaks for this year: Fresh potatoes were such a hit we are bringing fresh cooked vegetables this year. And we have added apple cider to the drink menu. I wanted to let you know that this coming Sunday morning (December 23), the weekly Milwaukee CBS News Magazine will be about Christmas dinner in medieval England, presented by me, with the expert assistance of William Edmundson (my current TA), and Laura Otto (UWM Chief Science Writer and Media Rep). We are interviewed by the Milwaukee CBS reporter Whitney Martin.We filmed it Tuesday, in the magnificent Victorian-style twin kitchens of the UWM Alumni House and had lots of fun!The show will be broadcast this Sunday at 7 AM (sorry about the early time! ), on Milwaukee CBS (channel 58). January 8, 7pmThis production about “how the color of one’s skin can lead to a very different experience of the world” has gotten rave reviews and will be shown once more before going on the road for a theater festival. This will be an amazing way to continue our conversation about white privilege. CSH has acquired 10 tickets that can be purchased from Rabbi Michal for $10. Please email her at rabbimichal@shirmke.org to reserve yours! Additional tickets may be purchased here . An enormous thank you to Shir members who so generously donated to the Shir Hadash and Tikkun Ha-Ir Holiday Gifts For the Homelessdrive. If you didn’t get a chance to bring something to Shir and would like to support the essential work that Tikkun does in an effort to ‘repair the city’, donations may be made https://thi-milwaukee.org/donate/ or checks may be mailed to Tikkun Ha-Ir Milwaukee, PO Box 090287, Milwaukee, WI 53209.Donations through 2018 will be matched, so double your impact with a donation. A hearty fall soup and fresh-baked challah awaits all who wish to spend this Shabbat evening together. Sign up here so we know how many to plan for! Dr. Irfan Omer, Professor of Theology and Interfaith Studies at Marquette, will join us as we explore the stories found in both Torah and Quran. We begin, as always, with prayer and song followed by a morning nosh. Bring a Torah text and nibble to share and your friends and family!! We have invited members of the Plymouth church community to join us as well. You like music? You like food? You like lovely people? You like Shabbat? You should come!! 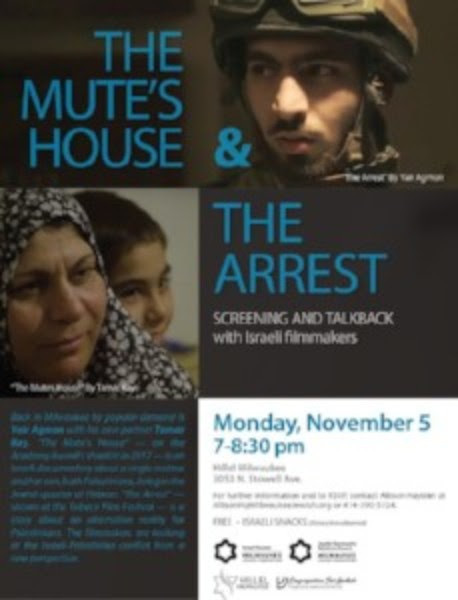 Join filmmaker Tamar Kay for a screening and talkback on her documentary The Mute House, about a Palestinian family living in the Jewish quarter of Hebron.In the short film The Arrest, directed by Yair Agmon, the Palestinian army occupies the Middle East in an alternate version of history, and Palestinian directors make action films about their experiences in the military. Tikkun Ha-Ir has been offered a matching grant that will match all donations made now through the end of December. Please donate to help us continue to do the necessary work toward repairing our city. To date, the Food Justice Initiative crew has cooked and delivered approximately 20,000 meals! Once again this year Tikkun Ha-Ir will be embarking on their Holiday Gifts for the Homeless drive, November 26 – December 16. Stay tuned for more details. Click HERE to double your donation to Tikkun Ha-Ir. Enjoy the first spirited, musical service and delicious potluck of the Jewish year! 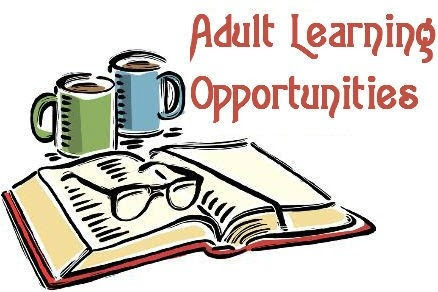 Location: TBA – Host needed! Join your Shir chevre for food and conversation at a lovely, intimate gathering. Location: At Plymouth in the Upper Study. 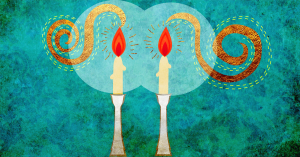 The new year has started but the Torah cycle is not quite finished! After singing some morning chants and blessings, we will explore the final chapters of Deuteronomy and the end of the life of Moses. Bring a morning treat and a Torah text. Come at 9:45 if you want to grab that first cuppa’ something! We invite all of our members who have their own Sukkah to invite Shir members to join them for a Shabbat Sukkot meal. There is also opportunity to host at the community sukkah at Plymouth if someone wishes to. Please let Rabbi Michal know if you are interested in hosting a table this evening, for any other meal during the Sukkot holiday, or for any shabbat in the future!! This is the final liturgical marker prior to Rosh Hashanah. We will explore the themes of the core yuntif prayers and their meaning for us today. High Holy Day services to come. 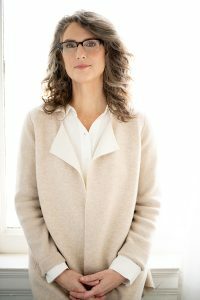 Michelle Bak will guide us through the morning prayers, song, and learning on this special “Shabbat of Turning”. Join us for the first and highest Shabbat of the year. Join us for the last potluck of the Jewish year as we prepare to welcome the month of Elul. The theme of the month – which can be considered an acronym for the Hebrew that means “I am my beloved and my beloved is mine” – is perfect since we will be celebrating more special anniversaries. Join Marilyn and Bob Jacobs, Judy and Howard Tolkan, and Debbie and Bill Berg as they celebrate a collective 155 years of wedded bliss!! Enjoy a delicious meal and warm company in an intimate setting. Sign up here to RSVP and note your contribution to the table. Shir is hosting two events to help us prepare for the upcoming Days of Awe. Join us for this delightful Israeli film that takes place in the Old City during the holiday of Sukkot. A ba’alei teshuvah (newly religious) couple struggling to make their new life work is challenged by unexpected guests (ushpizin) from his former, wilder, life. Bring your favorite movie snack. Popcorn and drinks will be provided. 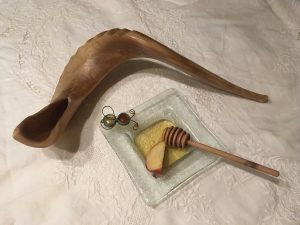 This is the final liturgical marker prior to Rosh Hashanah. We will learn about the evolution of the core yuntif traditions, enjoy a sweet dessert potluck, make havdalah, and gather for a short, musical, moving taste of the High Holy Day liturgy. High Holy Days Planning Begins! Did you enjoy our High Holy Days gatherings last year? Would you like to help make them happen this year? We’d love to have you join the HH Logistics Team! If you are an old-hand at this, great! If your new to this, we have mentors who will happily work along with you. Contact Reesa at 414-975-5973 or at reesag5@gmail.com. Shir members Marilyn and Bob Jacobs and Jim Winston will be part of the DIY Kitchen Band at this Sunday’s Bluegrass Festival at Pioneer Village in Saukville. Come out, enjoy some music, support your Shir chevre, and grab a washboard!! All the details are here (http://www.cedarburg.org/events/details/bluegrass-at-the-village-3446) .